I remember the first time I visited the Fox and Goose, at least vaguely. It was shortly after I’d ended my 23-year stint of being vegetarian, and I had my first taste of venison there. All I recall is that the meal overall was fantastic, and that dish in particular, where the succulent meat just fell off the bone. I’m guessing that was about twelve years ago - I’m never great at placing events within my timeline. It might have been a birthday meal. But it had been a while since the last time. And I’d gone through a spell of minimal eating out (compensated for by some reasonably adventurous eating in) and it seemed like a good time to revisit. The restaurant is housed in a historic building which was built as the local Guildhall around the turn of the 16th century. It has masses of character inside and out - very much how you would think a quality local village restaurant should be, and just the sort of place you want to make your way to in the middle of a grey drizzly early Spring. The only downside of the location is the variable phone signal and no wi-fi. Generally this wouldn’t be a problem. Yes, I instagrammed the meal, but such things don’t need to be done on the spot there and then. But more importantly, I needed to book online for next week’s tennis session, which becomes available at 8pm on the dot and generally fills up within 10 minutes. I was out of luck. Even stepping outside, I couldn’t get sufficient signal to get the deed done. Onto the reserve list I go. But that was a small price to pay for the amazing meal. For the starter, I had the smoked duck breast with pickled winter vegetables, garlic mayonnaise and poached pear. 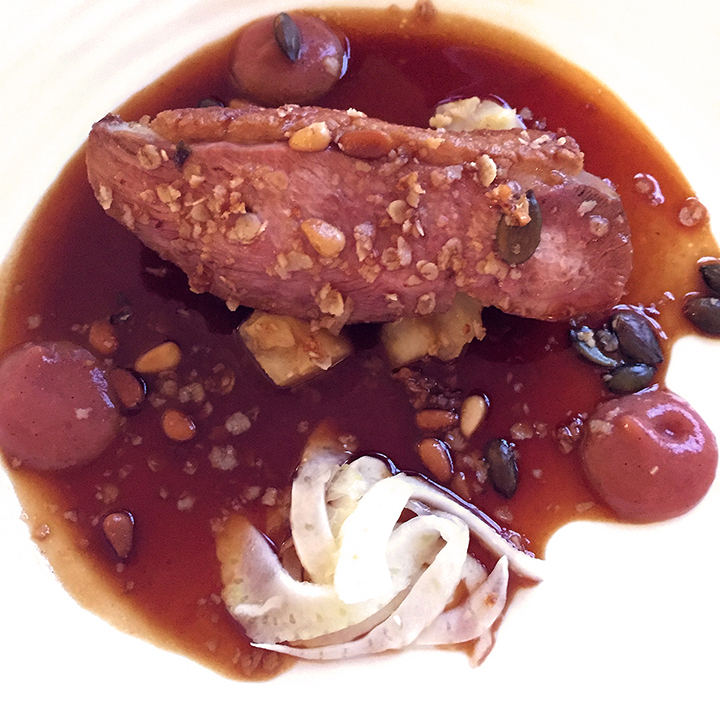 The duck was beautifully cooked, as tender as you like with a rich sauce that held all the flavours together in one harmonious whole. It was quite possibly the best duck I’ve had, and there’s some stiff competition for that position. 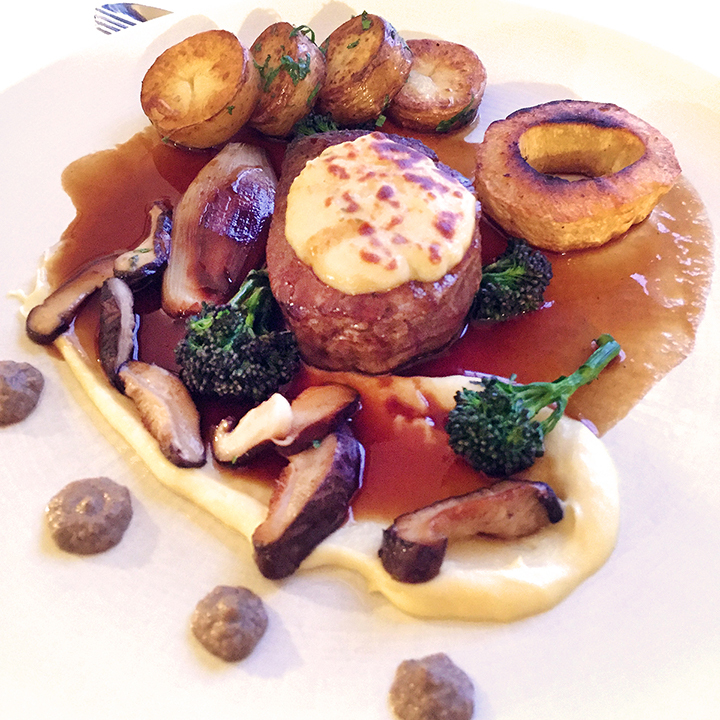 Main course was fillet of braised beef, with a dauphinoise foam, roasted parsnip, broccoli, mushrooms, sauté potatoes and a red wine sauce. I’d generally not order fillet if I’m on a steak night, but it worked brilliantly well here. Cooked to perfect medium rare, holding together a cacophony of flavours and textures. 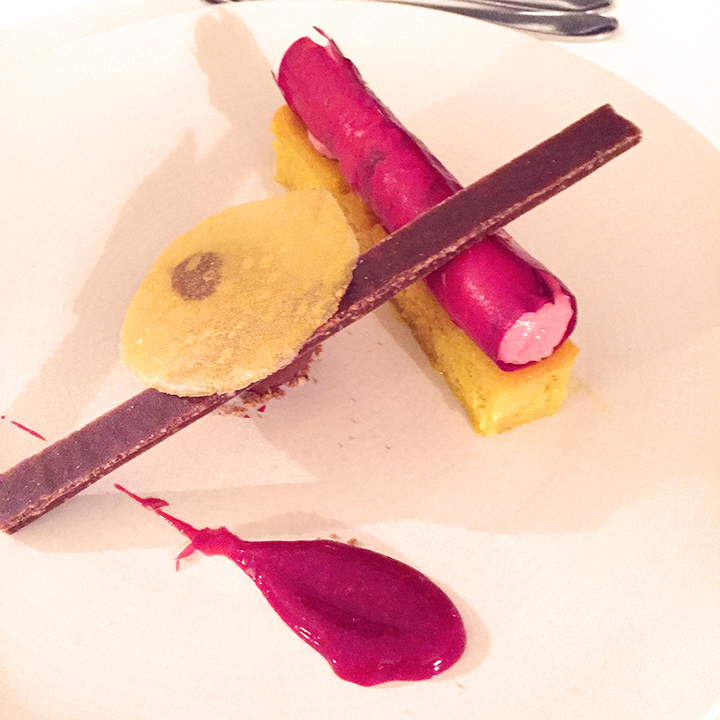 I’d never seen a ring of roasted parsnip before, it was just an imaginative dish well put together. Then onto dessert. I had an orange polenta cake (mostly because of the remarkable coincidence of having been discussing exactly such a cake earlier the same day) with chocolate and a strawberry mousse. A great finish for someone like me, in love as I am with the combination of chocolate and orange. 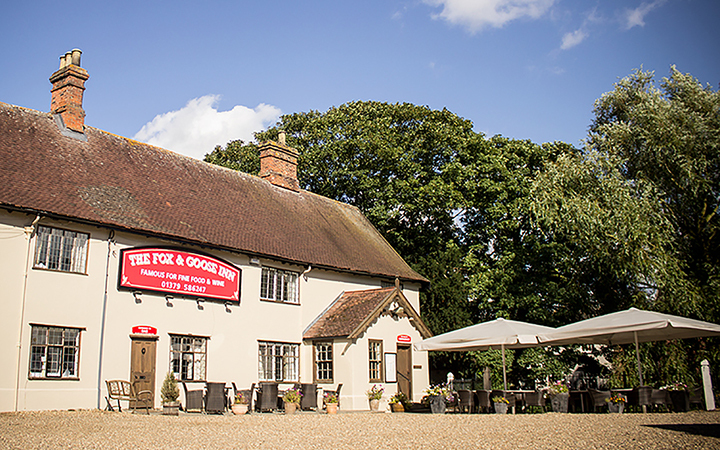 The Fox and Goose provides great food and the whole operation is so professionally run it’s always a pleasure to visit. If you’re in Suffolk and wondering how to fill your time - it’s earned its place as one of the must-visit locations in the area.